Trump appointee Nancy B. Beck, once a Washington state toxicologist, is now a leading voice within the Environmental Protection Agency for deregulation moves that could hinder a crackdown on dangerous chemicals. WASHINGTON — For years, the Environmental Protection Agency (EPA) has struggled to prevent an ingredient once used in stain-resistant carpets and nonstick pans from contaminating drinking water. So scientists and administrators in the EPA’s Office of Water were alarmed in late May when a top Trump administration appointee insisted upon the rewriting of a rule to make it harder to track the health consequences of the chemical, and therefore regulate it. The revision was among more than a dozen demanded by the appointee, Nancy B. Beck, after she joined the EPA’s toxic chemical unit in May as a top deputy. For the previous five years, she had been an executive at the American Chemistry Council, the chemical industry’s main trade association. It is a cause with far-reaching consequences for consumers and chemical companies. The EPA regulates some 80,000 different chemicals, many of them highly toxic and used in workplaces, homes and everyday products. If chemicals are deemed less risky, they are less likely to be subjected to heavy oversight and restrictions. The effort is not new, nor is the decades-long debate over how best to identify and assess risks, but the industry has not benefited from such highly placed champions in government since the Reagan administration. The cause was taken up by Beck and others in the administration of President George W. Bush, with some success, and met with resistance during the Obama administration. Now it has been aggressively revived under President Donald Trump by an array of industry-backed political appointees and others. In March, Scott Pruitt, the EPA chief, overrode the recommendation of Hamnett and agency scientists to ban the commercial use of the pesticide chlorpyrifos, blamed for developmental disabilities in children. The EPA’s new leadership also pressed agency scientists to re-evaluate a plan to ban certain uses of two dangerous chemicals that have caused dozens of deaths or severe health problems: methylene chloride, which is found in paint strippers, and trichloroethylene, which removes grease from metals and is used in dry cleaning. The conflict over how to define risk in federal regulations comes just as the EPA was supposed to be fixing its backlogged and beleaguered chemical-regulation program. 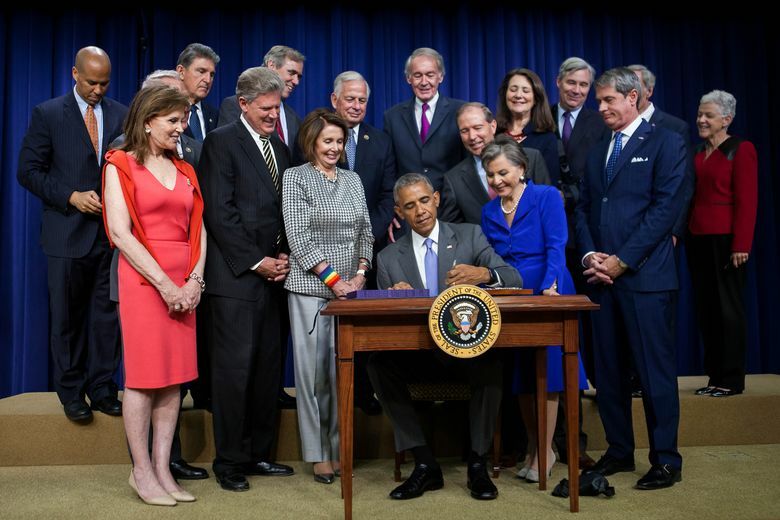 Last year, after a decade of delays, Congress passed bipartisan legislation that would push the EPA to determine whether dozens of chemicals were so dangerous that they should be banned or restricted. “U.S. 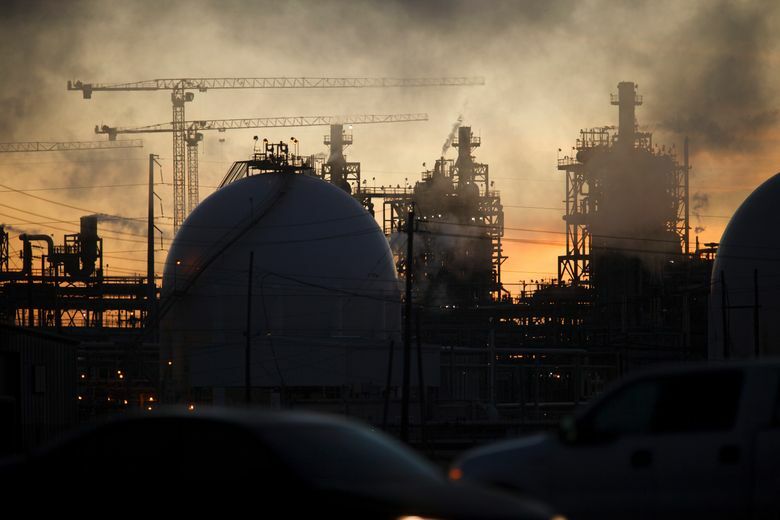 businesses, jobs and competitiveness depend on a functioning new chemicals program,” Calvin M. Dooley, a former congressman who is president of the American Chemistry Council, said in a statement. It was issued in June after Beck, his recent employee, pushed through many industry-friendly changes in her new role at the EPA, including the change in tracking legacy chemicals such as PFOA. The Trump administration’s shift, the industry has acknowledged, could have financial benefits. Otherwise, the industry may lose “millions of dollars and years of research invested in a chemical,” the American Chemistry Council and other groups wrote in a legal brief defending the changes Beck had engineered. But consumer advocates and many longtime scientists, managers and administrators at the EPA are alarmed by the administration’s priorities and worry that the new law’s anticipated crackdown on hazardous chemicals could be compromised. The divergent approaches and yearslong faceoff between Hamnett and Beck parallel the story of the chemical industry’s quest to keep the EPA’s enforcement arm at bay. The two women, one a lawyer from New Jersey, the other a scientist from Long Island, have dedicated their lives to the issue of hazardous chemicals. Each one’s expertise is respected by her peers, but their perspectives couldn’t be more dissimilar. Hamnett, 63, spent her entire 38-year career at the EPA, joining the agency directly from law school as a believer in consumer and environmental protections. Beck, 51, did a fellowship at the EPA, but has spent most of her 29-year career elsewhere: in a testing lab at Estée Lauder, as a toxicologist in the Washington State Health Department, as a regulatory analyst in the White House and most recently with the chemical industry’s trade group. Before Trump’s election, Hamnett would have been regarded as the hands-down victor in their professional tug of war. Her decision to retire in September amounted to powerful acknowledgment of the two women’s reversed fortunes under the Trump administration. “I had become irrelevant,” Hamnett said. Chemical regulation was not part of the EPA’s original mission. But several environmental disasters in the early 1970s prompted Congress to extend the agency’s authority. President Gerald R. Ford signed the Toxic Substances Control Act in October 1976, giving the EPA the authority to ban or restrict chemicals it deemed dangerous. To that end, Graham hired scientists to review major federal regulations and make recommendations about their worthiness, something the EPA itself had done over the years. Beck, Graham said, was an excellent addition to his staff. Beck was so aggressive in second-guessing EPA scientists that she became central to a special investigation by the House Committee on Science and Technology. The committee obtained copies of her detailed emails to agency officials and accused her of slowing progress in confirming drinking-water health threats presented by chemicals like perchlorate, used in rocket fuel. “Suppression of Environmental Science by the Bush Administration’s Office of Management and Budget,” the committee wrote in 2009, before describing Beck’s actions. During President Barack Obama’s first term, Beck left the White House for the American Chemistry Council, whose members include Dow, DuPont and dozens of other major manufacturers and chemical companies. As the trade association’s senior regulatory scientist, she was perfectly positioned to continue her second-guessing of the EPA’s science. EPA records show her challenging the agency’s scientific conclusions related to arsenic (used to manufacture semiconductors), tert-Butanol (used in perfumes and as an octane booster in gasoline), and 1-bromopropane (used in dry cleaning). But at the same time, EPA and government-funded academic researchers were raising serious health questions about the safety of a range of chemicals. Consumer confidence in the industry was eroding. Some state legislatures, frustrated by the EPA’s slow response and facing a consumer backlash, moved to increase their own authority to investigate and act on the problems — threatening the chemical industry with an unwieldy patchwork of state rules and regulations. Beck and other chemical industry representatives were dispatched to the EPA and Congress to press for changes to the federal regulatory system that would standardize testing of the most worrisome existing chemicals and improve and accelerate the evaluation of new ones. It was the most significant overhaul of the Toxic Substances Control Act since its enactment in the 1970s, and Hamnett was prepared to help shepherd it into place. The task was shaping up to be what she considered her final, crowning act at the EPA. They gathered in early June around a long conference table at the EPA headquarters. In the crowd were Beck, Hamnett and other top agency officials charged with regulating toxic chemicals, as well as environmentalists worried about last-minute rule changes being pushed by the chemical industry. Olga Naidenko, an immunologist specializing in children’s health, said she was struck by the head-spinning scene. Beck, who had spent years trying to influence Hamnett and others to issue rules friendly to the chemical industry, was now sitting at the conference table as a government decision-maker. “I am running the show. I am now in the chair. And it is mine,” Naidenko said in describing her impressions of Beck at the gathering. The Obama-era leadership at the EPA, in its last weeks, had published drafts of two critical rules needed to start the new chemical program. The rules detailed how the agency would choose the most risky chemicals to be tested or evaluated and how the hazards should be judged. It would be up to Pruitt, the new EPA chief, and his team to complete the process in time for a June deadline, set in the legislation. As the deadline under the new law approached, Beck took control of the rewriting herself, a highly unusual step at the EPA, where expert civil-service employees traditionally hold the rule-writing pen. Hamnett said she did not try to stop Beck, given that she had the support of the agency’s new leadership. But Hamnett’s handwritten notes record increasingly urgent objections from across the agency, including from the Waste and Chemical Enforcement Division, the Office of Water and the Office of General Counsel. The objections were strongly worded, but they fell short of an important legal threshold — the formal filing of a “nonconcurrence” memo — that would have triggered further review of Beck’s actions. Several EPA staff members said in interviews that they had been told by Pruitt’s top deputies to air their concerns in so-called concur-with-comment memos, which put objections on the record but allowed the process to move forward. The rules, with Beck’s changes, were sent to the White House and approved by the June deadline. Pruitt assembled the team in late June for a brief ceremony to celebrate the completion of the work. Environmentalists were dismayed, but Hamnett emerged from the whirlwind process with some confidence that all was not lost. While she disagreed with a number of Beck’s changes, she trusted that the EPA staff would maintain its commitment to honor Congress’ intent in the 2016 legislation. That would translate into a rigorous crackdown on the most dangerous chemicals, regardless of the changes. But her confidence in the EPA’s resolve was fragile, and it had been shaken by other actions, including the order Hamnett received to reverse course on banning the pesticide chlorpyrifos. The order came before Beck’s arrival at the agency, but Hamnett saw the industry’s fingerprints all over it. Pruitt’s chief of staff, Ryan Jackson, instructed Hamnett to ignore the recommendation of agency scientists, she said. The scientists had called for a ban based on research suggesting the pesticide might cause developmental disabilities in children. The episode is one reason she worries the EPA will defer to the chemical industry as it begins to evaluate toxic chemicals under the standards created by the new law. Hamnett had long planned to soon wrap up her work at the agency, as her husband, David, had retired three years ago. On Sept. 1, she turned in her badge and joined him. Pruitt has selected a replacement for Hamnett: Michael L. Dourson, a toxicologist who has spent the last two decades as a consultant helping businesses fight EPA restrictions on the use of potentially toxic compounds. He awaits Senate confirmation. The American Chemistry Council and its members are among the top private-sector sponsors of Dourson’s research. Last year, he collaborated on a paper funded by the trade group. His fellow author was Beck.